I love this definition! As we wrapped up our time together, the high schoolers came up with practical ways we could do that throughout the week… to look at God more and/or to put him above all else. Here were their awesome suggestions. Set aside time for him – take one of the time during the day you’d spend on Facebook or texting and intentionally spend it with God instead. What about you? 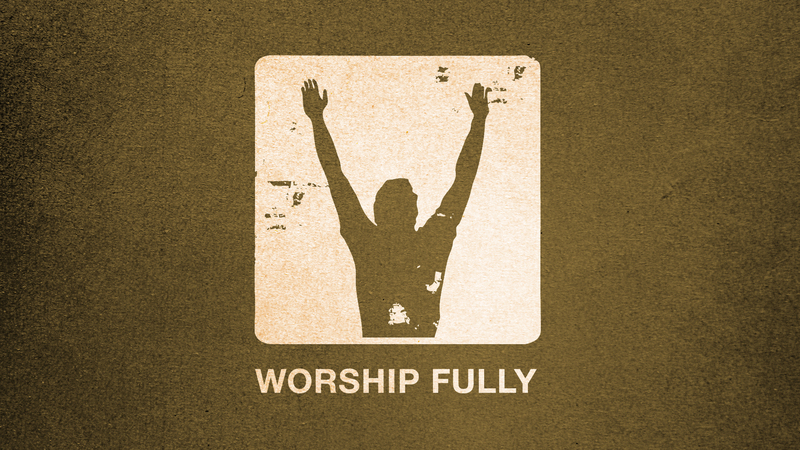 How would you define worship? What are ways this week you can put God first and look to Him more? In the midst of the busy Christmas season, stop and take time to Worship Fully.